Blind Date was again convincing in the World Cup Freestyle at the Mevisto Amadeus Horse Indoors. The electric atmosphere in Salzburg during the Grand Prix seemed to intimidate Beate a bit at first but she soon collected herself and was then much more self-assured in the Freestyle and more forward in her movements. That was perfect for our first time in a Freestyle with new music by Falco, and the judges as well as the spectators seemed to like it. In the B score our ride was awarded over 80 percent right down the line. Just one error in the flying changes á tempi cost us too many points. But we can work on the fine details now in the winter pause. We couldn't have ended the year in a better way! 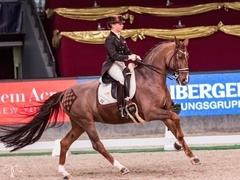 I am more than satisfied with the 78.35 percent we achieved and a placing near the top - after all, this was the first World Cup in dressage in Austria and the test was filled with strong competitors. I was also delighted with the 12th place taken by my team colleague, Astrid Neumayer, on her Rodriguez. 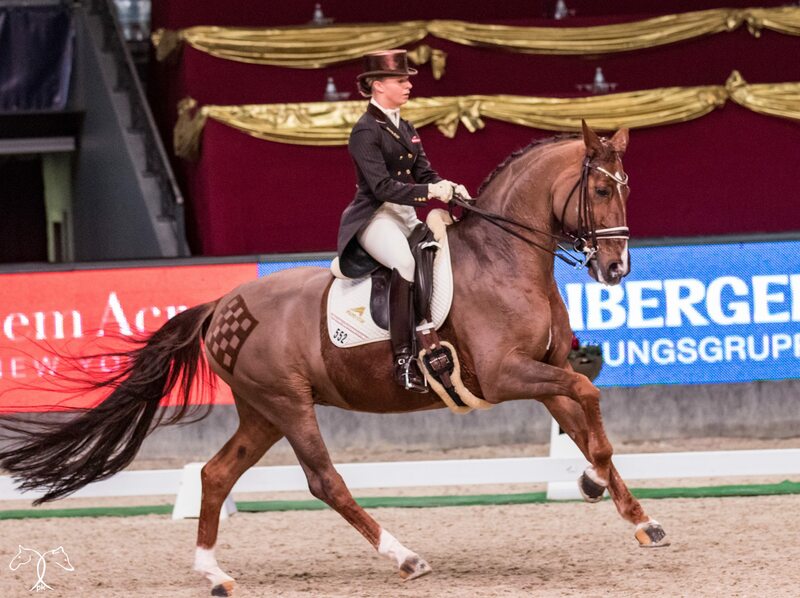 The World Cup Freestyle was won by Isabell Werth/GER on Don Johnson FRH (8412 percent) ahead of Edward Gal/NED on Glock’s Voice (8090) and Jessica von Bredow-Werndl/GER on Unee BB (80.07). Fourth place went to Valentina Truppa/ITA on Fixdesign Eremo del Castegno (79.40). Sixth to eighth place went to Marcela Krinke-Susmelj/SUI with Smeyers Molberg (77.22), Hans Peter Minderhoud/NED on Glock’s Romanov (75.82) and Goncalo Carvalho/POR with Batuta (74.77) an. Thank you Petra Kerschbaum for the great photographs from Salzburg!